How to Stream Apple Music on Roku Freely? 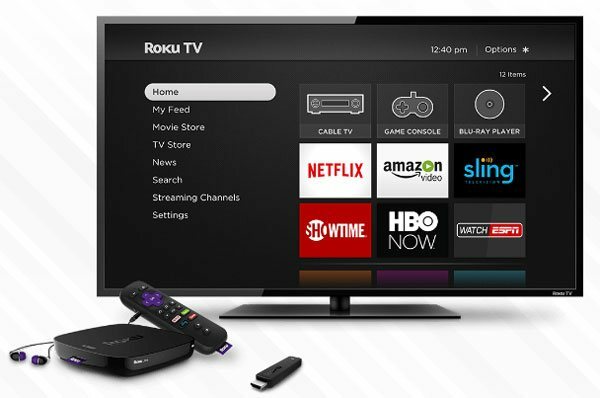 Roku, or Roku Streaming Player, is a series of digital media player set-top boxes for people to enjoy movies, TV shows, live sports, news and music with a wired or Wi-Fi connection from an Internet router. One of the reasons why it is now one of the most popular digital media players is that Roku is very easy to use and has plenty of channels. Lots of providers can be streamed on it, such as Amazon Cloud Player, Amazon Video, Ameba TV, BBC iPlayer, Amazon Music etc. However, Apple Music is not among them. What can do you if you want to stream Apple Music on it? TuneMobie Apple Music Converter is the best choice. Part 1: Why Apple Music Cannot be Streamed on Roku? Why Apple Music Cannot be Streamed on Roku? With their fast developing speed, Internet and smart devices have posed non-negligible influence to people’s modern life. TV is not just a device for you to passively choose the programs to watch. With Roku TV, various channels come pouring in. There are chances for you to enjoy abundant videos, live shows, music and other digital media. To enjoy music on Roku, you just need to connect your Roku Stream Player or Roku TV to the Internet, set up a Roku account, and start streaming. The slogan on Roku’s official website says that it streams anything. Unfortunately, Apple Music is not the very “anything”. The music format that Roku supports include MP3 and M4A but to DRM-ed music files such as M4P which is just the format of songs from Apple Music subscription service. Actually, since Roku supports common MP3 format, the answer to this question is obvious. That is to convert the non-compatible M4P to MP3. In other words, to realize it, you need to remove the original DRM protection of M4P. That’s what TuneMobie Apple Music Converter does. After knowing the overall function of TuneMobie Apple Music Converter, then how to use it? It's quite easy and fast. 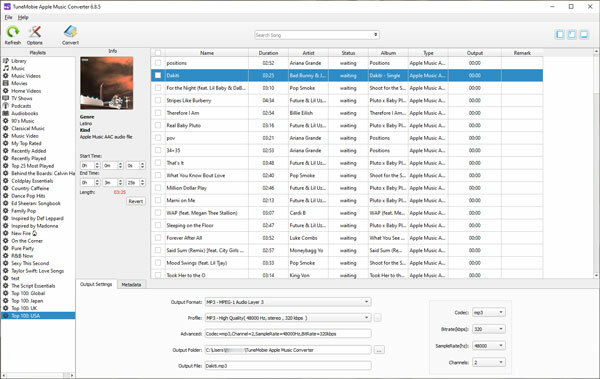 Launch TuneMobie Apple Music Converter and you will have the easy-to-use interface. Meanwhile, the iTunes will be launched automatically. The iTunes Playlists is entirely listed on the left part of the interface. On the top right part of the interface, you will see the songs waiting to be chosen. Just click the checkbox to select them. 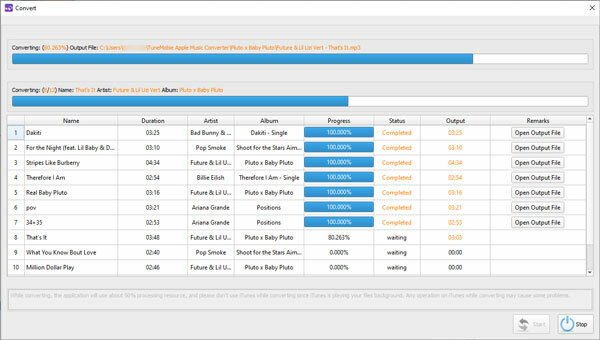 If the number is too big, or if you just want to convert all songs in the list, please click the top checkbox. Just below the album list is the settings. Choose “MP3 - MPEG-1 Audio Layer 3” as the output format. Other settings such as metadata can be changed as well. You can easily rename converted Apple Music songs by title, artist, album name, track number and disc number. All the settings can be adjust according to your need. It is recommended to set the quality as the highest one and the speed as 16X faster. Once you complete all the settings, please click the button “Convert” to start. You will have the clear sight of the time needed for each conversion. Then after all of them is finished, you can copy the MP3 files to MicroSD card or USB drive and plug it in. Now, enjoy Apple Music freely on Roku. Using a software program to bypass the DRM protection is legal for personal use. Please don’t apply the output files for business use or distribute them to others. Of course, it is also possible to watch iTunes movies, TV shows and music videos on Roku if you use TuneMobie M4V Converter Plus to convert DRM-ed M4V to DRM-free MP4. 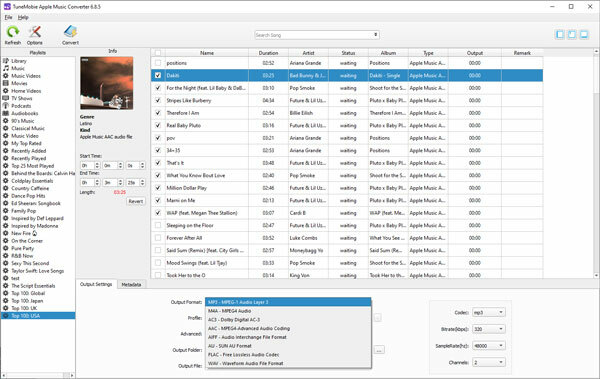 If you feel it is necessary to use both programs, TuneMobie iTunes Converter Toolkit is a better and more cost-effective choice and will help you stream both iTunes movies and Apple Music on Roku.